Standard PMI membership is currently $139 with SNEC chapter membership cost at $25 for a total of $164. Join today at www.pmi.org. Note: If you are a new SNEC member, please allow 2-3 business days for PMI to process your membership and notify the PM of your eligibility for member discount. SNEC is pleased to offer an evening PMP/CAPM Exam Preparation course at UConn Health in Farmington CT. This 12-week intensive course based on the PMBOK 6th Edition will run every Thursday evening from Feb 28th, 2019 to May 23rd, from 6pm until 9pm at UConn Health, 16 Munson Road Room P4002, Farmington CT 06030. Networking and Check-In will begin at 5:30 p.m. In the event of weather cancellations, the class will be extended as to make up for any missed week. Please bring your own food/beverage to the class. This is a non-catered event. 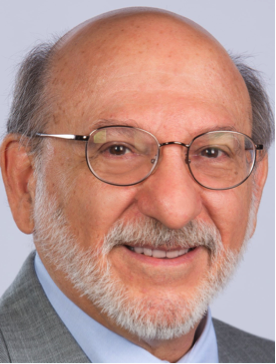 Joe is a consulting manager at BlumShapiro Business Advisory Services with over 35 years of project & program management experience in Banking, Insurance, Manufacturing, Non-profit Organizations and Government Entities. He has been an Adjunct Professor for Project Management at the University of New Haven and Western New England University. Joe has been a PMP Exam Preparation Instructor for SNEC-PMI since 2009, has lectured at the New England School of Banking at Williams College and presented at SNEC-PMI conferences and chapter meetings. He holds a Master Certificate in Project Management; George Washington University, is a Microsoft Certified Professional for MS Project & MS Project Server and is also a Certified Scrum Master and SAFe Program Consultant. He is a former Board Officer for the CT Down Syndrome Congress and former Board Member on The New England School of Banking at Williams College.